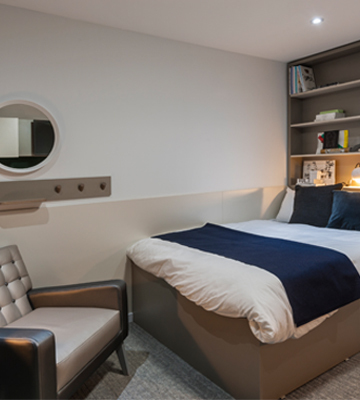 Downing’s initial £65m West Village scheme has revitalised the site of a former railway station to create a luxury student accommodation development in one of the UK’s premier university cities. 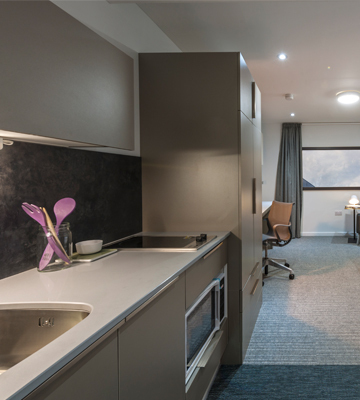 The 220,000sq ft. development is set within generous landscaped gardens on the banks of the River Kelvin and provides accommodation for 701 students. 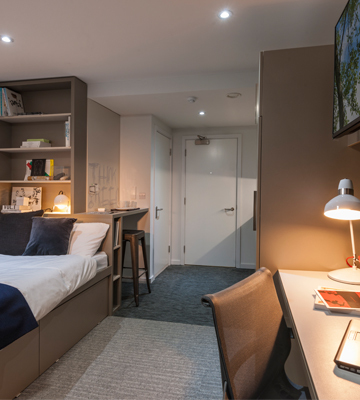 The scheme sits alongside a future £35m 350 bed development in the heart of Glasgow’s vibrant and cosmopolitan West End on Byres Road, a short walk away from the city’s best bars, restaurants and shops. 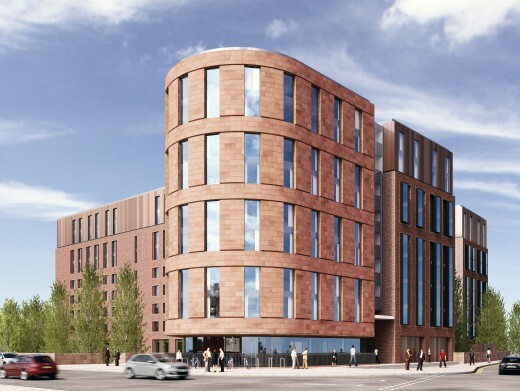 It features two ten storey buildings, one of which is curved to create a landmark at a key junction. The development ties in with a new riverside walk, which will be created over the coming years as the rest of the site is developed.